Skillanthropist Fredrick Ndiwalana gets a chance to use his skills to help his fellow countrymen. Unlike the average volunteer in Uganda – primarily foreign-born and barely out of college – Frederick is a native Ugandan with more than 15 years of financial experience working with emerging markets. When a colleague recommended Grameen Foundation’s Bankers without Borders® (BwB) to him, he jumped at the opportunity to volunteer his skills. 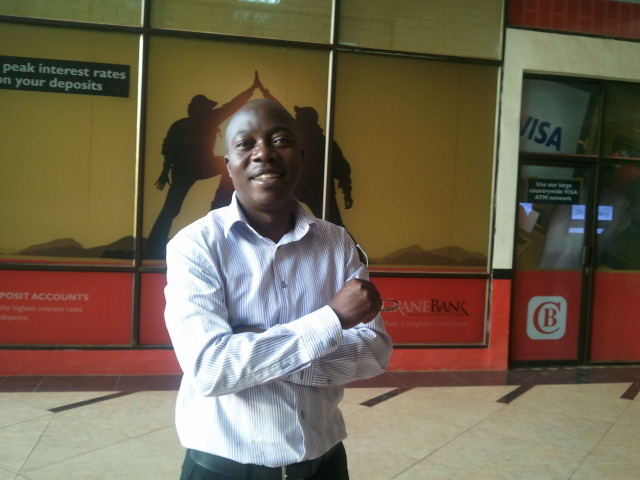 For the last three years, he has worked as a consultant for financial institutions throughout Uganda, such as Post Bank, Bank of Africa-Uganda and the Uganda Institute of Bankers, conducting project evaluations and advising clients on banking options. As a volunteer with BwB, Frederick helped Grameen Foundation’s AppLab Money team research available banking products and identify gaps where new mobile products could potentially serve the poorest segment of society and increase financial inclusion. Frederick’s findings are helping Grameen Foundation improve its apps and financial products better serve microentrepreneurs and small business owners in Uganda. As a Ugandan helping Ugandans, he epitomizes the idea that there is no typical profile for a volunteer. Living by his personal mantra, “The more you give, the more you get,” Frederick says he would gladly volunteer again.